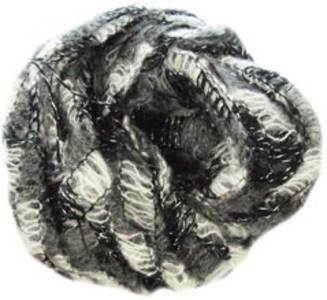 Sirdar Spellbound scarf knitting yarn, , 10 charcoal. Make a soft and luxurious ruffled scarf with mohair and a touch of sparkle. One 100g skein makes a scarf, instructions for twirly or straight scarf provided.